A recent court decision limits the pool of employees who may assert claims under the Family and Medical Leave Act. In Hurley v. Kent of Naples, Inc., the U.S. Court of Appeals for the Eleventh Circuit held that the "potent protection" of the FMLA does not apply to everybody who potentially qualifies for FMLA leave but only to those who actually qualify for FMLA leave. The court also said that employees who have chronic serious health conditions are not entitled to FMLA leave unless they demonstrate that the leave is because of a "period of incapacity or treatment for such incapacity due to a chronic serious health condition." The Eleventh Circuit hears appeals from federal courts in the states of Alabama, Florida, and Georgia. In 2008, Patrick Hurley, CEO of Kent, sent an email to Gil Neuman, the CEO of Kent's parent company, attaching a schedule, "subject to change," indicating that he planned to take 11 weeks of vacation in the following two years. Neuman promptly denied the request and instructed Hurley to meet with him to discuss it further. Hurley replied that health professionals had told him that his need to take vacation time "is no longer optional." He also accused Neuman of failing to pay an overdue bonus and privately ridiculing his ideas. Neuman fired Hurley the next day, citing insubordination and poor performance. A week after he was fired, Hurley obtained an FMLA form from his doctor, Carlos Paisan, who wrote that Hurley was being treated for depression. Dr. Paisan said that the duration and frequency of incapacity were unknown. Hurley then sued Kent and several of the company's affiliates, and Neuman individually, claiming they interfered with his FMLA rights by wrongfully denying his request for 11 weeks' vacation and terminating his employment. He also alleged that his termination was retaliatory. Although he contended that he suffered from a serious chronic medical condition, he did not allege that he was unable to work or incapacitated. Both parties filed motions for summary judgment, and both motions were denied by the trial court. At the trial, Dr. Paisan testified that, although he filled out Hurley's FMLA form, he did not mean to imply that Hurley needed medical leave for the dates in the vacation schedule that Hurley sent to Neuman. In fact, Dr. Paisan testified that he had never even seen the schedule that Hurley submitted and would not have certified FMLA leave for future dates. Hurley admitted at trial that he and his wife picked leave days without consulting with health professionals, but that he planned to schedule treatment as the dates for leave approached. At the close of Hurley's case, the defendants moved for judgment as a matter of law, but their motion was denied. The jury found that Hurley suffered from a serious health condition, was eligible for FMLA leave, and gave proper notice under the Act. Hurley was awarded $200,000 in actual damages, $200,000 in liquidated damages, $354,000 in front pay, and $244,000 in attorneys' fees and court costs – more than $1 million in all. The defendants appealed. On appeal, the defendants argued among other things that Hurley's requested leave did not qualify for FMLA protection and therefore that the trial court should have granted their motion for judgment as a matter of law. Hurley responded that, in order to bring an interference or retaliation claim, he only had to "potentially qualify" for FMLA leave. A three-judge panel of the Eleventh Circuit found that there was evidence that Hurley provided sufficient notice of leave, but the panel rejected his assertion that he needed only to potentially qualify to assert a valid interference or retaliation claim under the FMLA. "Giving an employer notice of unqualified leave does not trigger the FMLA's protection," the panel held. "Otherwise, the FMLA would apply to every leave request." The panel noted that Hurley did not directly respond to the defendants' argument that he did not qualify for FMLA leave. Hurley contended only that his leave was protected because his depression was a chronic serious health condition. The panel pointed out that the FMLA does not cover any leave that is medically beneficial simply because an employee has a chronic health condition. It was significant, the panel said, that Hurley admitted that he did not request leave because he was incapacitated and could not predict the periods of incapacity from his condition. "Accordingly, Hurley has not met his burden of proving that his leave request qualified for protection under the FMLA," the panel held. The trial court's denial of the defendants' motion for judgment as a matter of law was reversed, and its judgment was vacated. The Hurley decision is obviously good news for employers, although some may be wondering how the case ever made it to a jury in the first place. At the same time, there are ways this case could have been handled that might have spared the defendants the expense and disruption of five years of litigation, a jury trial, and an appeal. Ideally, after being told that Hurley's health professionals had told him the vacation "was no longer optional," Neuman would have recognized this as a potential FMLA leave request and required Hurley to get a valid medical certification from his health care provider. If the certification had not authorized 11 weeks of "leave," then Neuman would have been on solid ground denying the request, and Hurley's lawyers would probably have advised him not to file suit. Determining whether an employee actually qualifies for leave is a process. When an employee gives the employer notice of a need for leave that is potentially FMLA-qualifying, it is the employer's legal responsibility to determine whether the FMLA actually applies. If the employer makes a mistake, it can be liable for interference (wrongful denial of FMLA leave). If the employee requesting FMLA leave is subjected to adverse employment action, such as discipline or termination, the employer can be liable for retaliation. As the Hurley case demonstrates, an employer can (eventually) win an FMLA case even if it denies the requested leave without using the certification process. However, using the certification process preventively is the best solution for most employers. 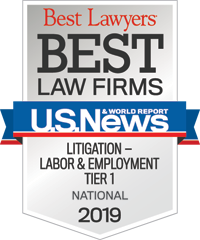 If you have a question about administering FMLA leave or how to handle particular FMLA leave requests, please contact any member of Constangy's Litigation Practice Group, or the Constangy attorney of your choice.